Heading off for a summer holiday invariably involves a long car journey – which can fill parents of small children with a sense of dread. But according to new research, commissioned by GoCompare Car Insurance, the nation’s parents are mixing new technology with trusted old favourites to keep the stress levels down. Despite the tech onslaught, two proven road-trip saviours – a good old-fashioned family sing-along and a few rounds of I-Spy – made the top three. Another popular tactic used by many parents is to drive at night to allow children to sleep through most of the journey. Letting the kids play on hand-held games consoles and making frequent pit-stops to stretch legs, visit the loo or view attractions were also favoured measures. 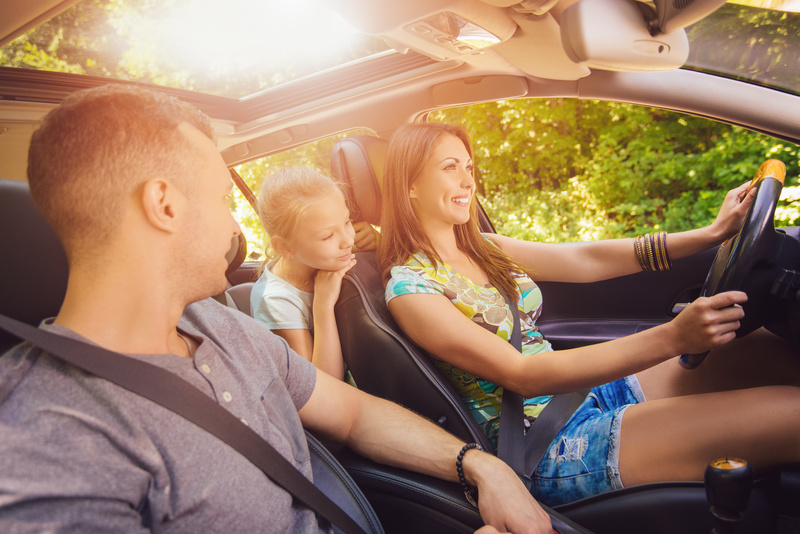 With portable gadgets including DVD players, tablets, iPhones and handheld games consoles now some of the most popular travel companions, GoCompare is urging parents to check that their car insurance adequately covers all the kit that may end up coming along for the ride. A review of over 260 comprehensive car insurance policies by the leading comparison website revealed that cover for portable gadgets is limited. While most (96%) policies provide cover for portable electronic systems, cover levels vary significantly from just £100 to £2,500, but most (81%) policies provide cover of £300 or less – which may be insufficient to cover the cost of gadgets lost in a smash and grab theft from a parked car. Matt Oliver spokesman for GoCompare Car Insurance commented: “In the past, in-car entertainment mainly relied on our imaginations – playing I-Spy, shopping list games and other traditional word, memory or counting games. Today, parents are more likely to travel with portable technology to survive a long journey and reduce the amount of back seat whining. Portable gadgets such as DVD players, tablets and games consoles make rich-pickings for thieves, so we’re reminding people to prevent theft by always locking their car and to put their personal belongings, especially electronic gadgets, out of sight – preferably in a locked glovebox or car boot. To make sure they have adequate cover away from home, we also recommend drivers check the cover their car insurance provides for portable devices and entertainment systems.